HAKOM, within its scope of work, manages addressing and numbering resources in the Republic of Croatia. Since the addressing and numbering space is naturally limited public resource, it is necessary to ensure reasonable, fair and efficient use of addresses and numbers. Administering addresses and numbers has basis in international regulations and international agreements binding for Croatia. HAKOM manages and plans the use and allocation of addresses and numbers in accordance with the Addressing and Numbering Plans. The above mentioned plans are adopted after public consultations, making sure that the needs of operators and users of services are met. 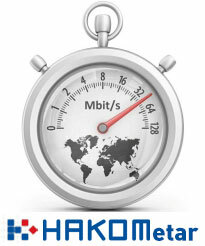 HAKOM primarily allocates addresses and numbers to the operators who by secondary allocation provide addresses and numbers to other operators or to end-users. The application for the assignment of addresses and numbers is submitted by the operator by completing the form which can be found here. HAKOM shall accept the application for the assignment of addresses and numbers within 30 days following the receipt of the application provided that the form has been submitted in an orderly manner and that addresses and numbers are available in accordance with the Addressing Plan and Numbering Plan. The management of the national Internet top-level domain (“.hr” domain) is within the competence of the Croatian Academic and Research Network – CARNet that was authorised to manage the national domain space by the competent international organisation. - www.carnet.hr.